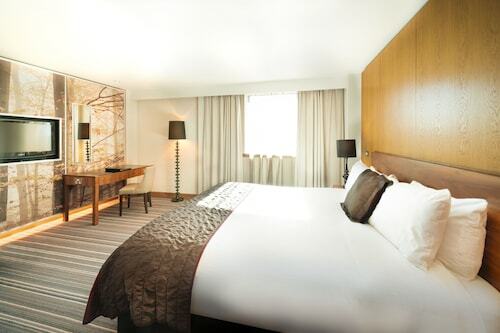 This family-friendly Barnsley hotel is located in the suburbs, 1.1 mi (1.7 km) from Academy Theatre, and within 6 mi (10 km) of Wentworth Garden Centre and Wentworth Castle Gardens. Wentworth Castle and Fox Valley are also within 6 mi (10 km). 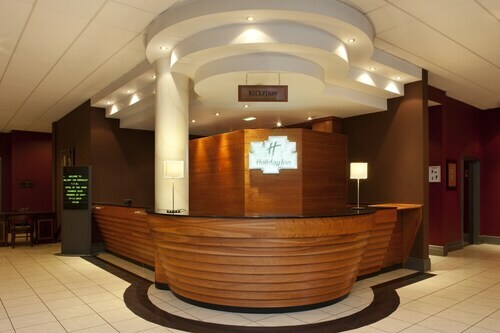 Situated in Barnsley, this hotel is within 2 mi (3 km) of Locke Park, Lamproom Theatre, and Barnsley Town Hall. St Mary's Church and Cooper Gallery are also within 2 mi (3 km). Dodworth Station is 15 minutes by foot. 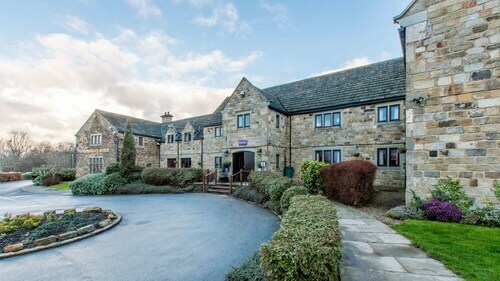 Situated in Barnsley, this hotel is 1.1 mi (1.7 km) from Pot House Hamlet and within 3 mi (5 km) of Wentworth Castle Gardens and Lamproom Theatre. Locke Park and Barnsley Town Hall are also within 3 mi (5 km). Dodworth Station is only a 5-minute walk. Situated in the business district, this hotel is within 2 mi (3 km) of Pot House Hamlet, Wentworth Castle Gardens, and Locke Park. Lamproom Theatre and Barnsley Town Hall are also within 3 mi (5 km). Dodworth Station is 7 minutes by foot. How Much is a Hotel Room in Barnsley? Hotels in Barnsley start at $47 per night. Prices and availability subject to change. Additional terms may apply. For those wanderers who find themselves traveling through South Yorkshire and are planning on having a look around in Barnsley, there are a few lodgings. Barnsley lays claim to 8 hotels within an easy commute to its central area. 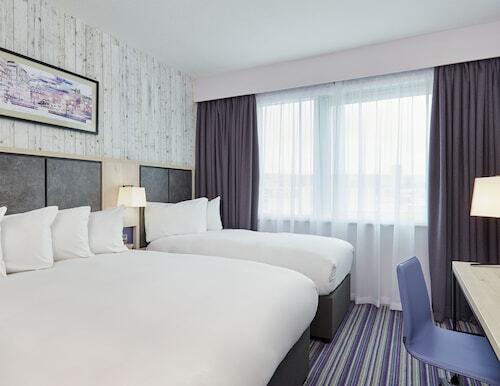 Look through a selection of Travelocity hotels situated within a 6-mile (10-kilometer) radius, including the Tankersley Manor - QHotels and Holiday Inn Barnsley. Travelocity's extensive database contains only a small selection of budget hotels in Barnsley. The The Fairway is one such offering. The Gateway Apartments is positioned 17 miles (27 kilometers) from the town center of Barnsley. Another place to stay is the Quebecs Luxury Apartments, which is approximately 17 miles (28 kilometers) away. 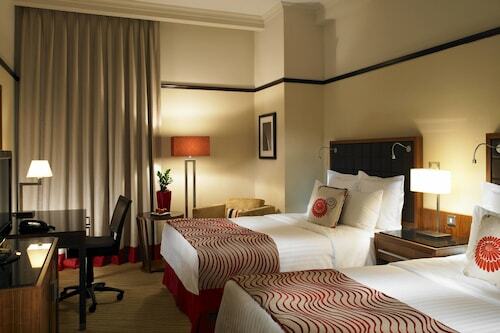 Alternate places to rest your head include the The Chambers - Park Place - Apartments and the George Hotel. Looking for things to do? Spend the day seeing Clifton Park Museum and Rotherham Minster, which you'll find in Rotherham, 10 miles (16 kilometers) southeast of Barnsley. 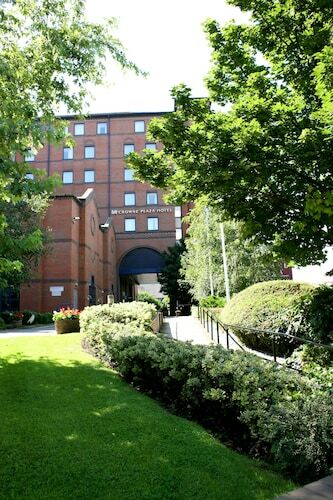 When you spend a few nights in Rotherham, check out the rooms at the Carlton Park Hotel and Stonecroft Hotel. 10 miles (16 kilometers) to the south of Barnsley, you can also stay at Sheffield, which is home to the The Rutland Hotel and Whitley Hall Hotel. Whether you're just passing through or staying in Sheffield, you might like to visit the Peace Gardens and Sheffield Town Hall. Why not spend an afternoon hanging out with excited sports obsessives at an exciting match. You can find Old Trafford 35 miles (55 kilometers) to the west of Barnsley. Sports fans hoping to find hotels close to the stadium should choose between the Dreamhouse Manchester Bloom Street or the The Lowry Hotel. Situated 19 miles (31 kilometers) away from the middle of Barnsley is Robin Hood Airport. 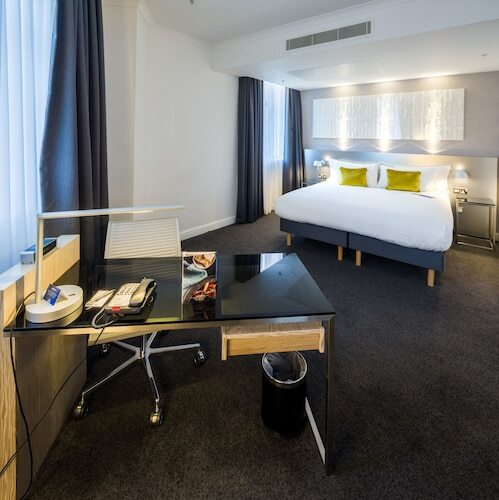 Stay nearby in Travelocity-listed accommodation at Best Western Premier Doncaster Mount Pleasant Hotel or Ramada Encore Doncaster Airport.